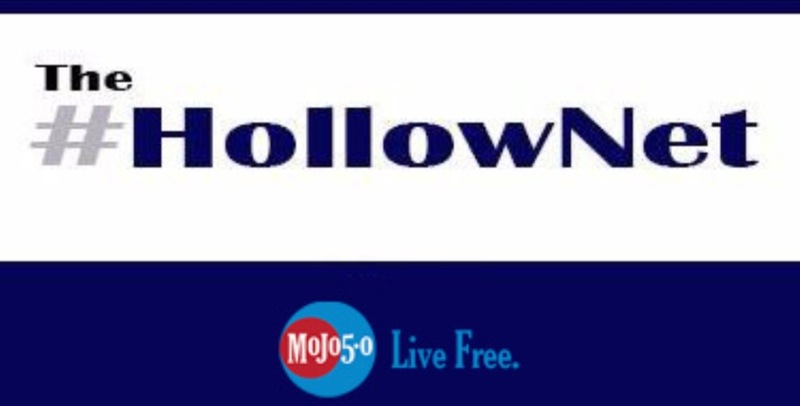 The HollowNet : The Dominion of the Coasts: The Future of Conservative America. The Dominion of the Coasts: The Future of Conservative America. The mobility of the American people and the political divides between us have created an highly unorthodox political-geographic landscape. For the most part we are either coastal progressives or interior conservatives and true classical liberals. Where over a century ago the great divide was between the North and the South, the twenty first century divide is primarily between the coasts and the plains, between the cities and the country. Here in Arizona, the socio-political climate from the more densely populated East Valley of the Sun to the more sparse West Valley changes drastically from liberal Tempe & Scottsdale, to moderate Phoenix, to conservative Glendale & Peoria into the conservative-libertarian wide open all the way to California. After the California state line the progression begins in reverse from Palm Springs along the I-10 straight into LA. The same rule also applies in Texas where Dallas, Austin, Houston & San Antonio regularly swing quite liberal as opposed to the conservative heartland that is the vast majority of the Lone Star State. Finally, even in the left wing, big labor stronghold of Illinois, locals will tell you, there is liberal Chicago and there is the largely conservative rest of Illinois and only Chicago matters. If you’re a city-dwelling conservative keep reading before you light me on fire in the comments section, check your demographics: you’re in the minority. With the notable exception of Salt Lake City, the most populous counties of the United States routinely vote for Democrats. The election of President Donald J. Trump defied this convention in “The Rust Belt” where the Hillary Clinton “Firewall” failed. In these traditionally democrat dominated regions President Trump appealed to restore American industry and successfully illustrated the failure of progressivism. However, The Atlantic’s findings largely still held, which is why President Trump while carrying the necessary Electoral College votes to win the Presidency, did not achieve an overall majority, However irrelevant the Clinton team’s post-election rallying cry is, there is a point demonstrated here: our nation is in the greatest danger of a tyranny through majority than we have ever known. The threat is in well-intentioned efforts such as the National Popular Vote Interstate Compact which I warned of while writing for TheBlaze.com just over a year ago. Many republicans surprisingly supported this measure then and still do now. Granted I couldn’t write a headline to save my life back then but the article is still sound and my assertion that our Republic is in serious danger is unchanged. The Electoral College is critical to our nation’s freedom; it is all that stands between the Republic our founders envisioned and a simple tyranny of the majority. The conservative and truly liberal voters of America and The Electoral College prevented the United States from becoming the “Dominion of the Coasts” and prevented the heartland from suffering firmly in progressive subjugation for another eight years. But be watchful, be vigilant, and be uniters not dividers. We must be steadfast in waging peace on the battlefield of ideas armed firmly with our values and principles in order to prevent true war between our countrymen and the true end of American exceptionalism. Remember: our exceptionalism lies not merely in our marshal might our staggering wealth or our vast technology but in our devotion to the rights of the individual, especially the individual who stands for principle and for right against a majority.